"San Diego Global Forum: Europe Between Brexit and the Migration Crisis"
Former Prime Minister of Italy Enrico Letta, and current dean of the Paris School of International Affairs at Sciences Po, shared his views on the changing priorities of the European Union with regard to the migration crisis and its shift toward foreign policy. 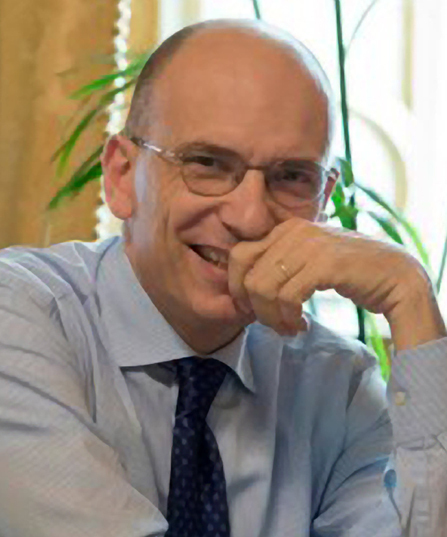 Enrico Letta is dean of the Paris School of International Affairs at Sciences Po and the founder of Scuola di Politiche in Italy. He has served as prime minister of Italy (2013-14), as well as minister for E.U. affairs (1998-99), minister for industry, commerce and crafts (2000), minister for industry, commerce and crafts and foreign trade (2000-01) and as undersecretary of state to the prime minister of the centre-left government led by Romano Prodi (2006-08). He is the author of several books on international and economic affairs, with particular reference to E.U. enlargement. As part of the San Diego Global Forum, Letta shared with UC San Diego students, faculty and community members his views on the changing priorities of the E.U. with regard to the migration crisis and its shift toward foreign policy. During his visit, he also met with students interested in European public policy matters, visited Qualcomm Inc., as well as toured the U.S.-Mexico border region. In addition, Letta attended his first NBA game, during which his favorite team the Los Angeles Lakers beat the New Orleans Pelicans. Pacific Leadership Fellow Enrico Letta's public talk on "San Diego Global Forum: Europe Between Brexit and the Migration Crisis"